I have created two polls on #LokSabha2019. Both are doing good. One has done very good. Total 877 votes given on one poll. 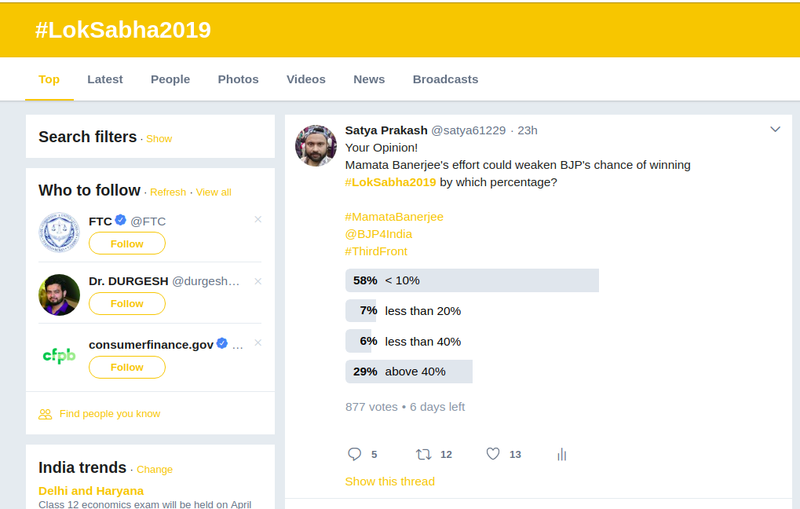 Mamata Banerjee's effort could weaken BJP's chance of winning #LokSabha2019 by which percentage? VOTE for two polls. Your opinion counts there. One of these polls are coming on top because of high polls happened there. You see time is telling that it is 23h old but still at top.